Read our coverage of a wide range of topics and discussions regarding everything involving foot health and surgery. Mr Reilly is a Consultant Podiatric Surgeon specialising in both the non-surgical and surgical management of foot and ankle problems. His private practice is based in the Midlands, primarily within the green county of Northamptonshire where he has performed nearly 10,000 surgical procedure. His special interests include hallux valgus deformity (bunion), neuroma and other soft tissue pathologies of the foot & ankle. A Morton’s neuroma is a common condition seen in both primary and secondary care and has gone under many names including Morton’s neuroma – the classic 3/4 interspace lesion, plantar digital neuritis, Morton’s toe, et al. Though attributed to Morton, at least two other authors could be credited with its discovery, the most famous being Durlacher who was surgeon/chiropodist to Queen Victoria. We are all familiar with the typical neuroma patient: often a woman and often wearing somewhat closed-in or high heels. This typically presents as a neuralgic infliction on one foot but it can be bilateral and can affect multiple interspaces. Patients present with sharp shooting and burning neuritis, aggravated by activity and relieved by rest and massage. There is still quite a debate over the exact cause of the neuroma which could include stretching, compression or ischaemia of the nerve. My own view is that this is a compression neuropathy, typically with a nerve caught between adjacent proximal phalanges, occasionally metatarsal heads and occasionally the deep transverse metatarsal ligament. The common digital nerve is affected as it splits into the proper digital branches and in the 3rd interspace there is a communicating branch between the medial and lateral plantar nerve. What does a Neuroma look like? Caught early, I think there is a good argument for orthotic management and shaft padding and although it is not Rootian in thinking, I have come to recognise that the medial and lateral being between the first three medial and the two lateral metatarsals can be an issue. I am increasingly noticing that patients with Morton’s neuroma have relative hypermobility of the forefoot and in doing Mulder’s click particularly, I often see some entrapment between the adjacent medial and lateral beams of the foot. More established cases seem to do well with cortisone shots but there is certainly a feeling in the literature that lesions below 6mm in size (if we take 2mm as a normal) tend to do better and that would certainly make sense. A smaller, less thickened, less inflamed neuroma is likely to do well with a fairly modest shot of steroid than a more established chronic and thickened neuroma. Recalcitrant cases and I think this is an increasing majority of patients, go forward for surgery and there is a hot debate on whether this is a plantar or dorsal approach. I very much favour the plantar approach as this allows better visualisation of the nerve, allows the nerve to be traced back further and doesn’t do the trauma to the top of the foot in struggling to get at the nerve through an increasingly narrow interspace. I written elsewhere on this subject and presented at various conferences and this has certainly been my own experience. Evidence based medicine which is the goal of all health professionals is not merely what seems to be the best technique as described in the literature. It is a combination of the best evidence, patient roles and practitioner experience and it is therefore a semi-scientific what works best in my hands approach. For me that is very much the plantar approach. While I have seen some painful plantar scarring the number of these has been very small and is outweighed by the number of stump neuroma I have seen – two in the last eight years. I continue to read and reflect on my treatment of Morton’s neuroma and in fact just today came across a very good e-book written by my old friend and colleague, David Tollafield. He is a (now retired) Podiatric Surgeon of considerable experience who very recently had a Morton’s neuroma excised himself. He has done a very readable e-book aimed at the motivated patient and covers the journey in great detail and I would recommend this book to patients and practitioners alike. Insoles, also known as orthotics or orthoses, can be very effective at improving your foot alignment within your chosen shoes. This then adjusts the leg position and can help reduce the chance of injury when weightbearing by redistributing stress on affected structures and improving the efficacy of your walking or running pattern. At OsteoGait Podiatry we provide fully customised specialist orthotics for the average walker, part-time runner to the elite Premier League footballer (more information). Additionally, we commonly utilise Corticosteroid therapy should this approach fail to improve symptoms. IF YOU REQUIRE ADVICE ON ANY OF THESE TOPICS OR A PAIR OF CUSTOM MADE INSOLES OR ORTHOTICS FOR A PAINFUL NEUROMA, WE ARE ABLE TO PROVIDE THESE THROUGH FULL RUNNING AND MOTION ANALYSIS VIA OUR GAIT LAB, PLEASE CONTACT US FOR MORE DETAILS OR CLICK (MORE INFORMATION). His special interests include hallux valgus deformity (bunion), hallux limitus (arthritic big toe joints) and tendon pathology particularly the Achilles tendon. The Achilles tendon is the largest tendon of the body and acts by lifting the heel of the ground and transferring the weight / force to the ball of the foot contributing to forward propulsion. The Achilles tendon is situated at the back of the ankle and foot and the tendon is formed from two muscles, which are collectively termed the calf muscle. The tendon begins in the lower third of the leg and inserts into the back of the heel bone where it progresses to the underside of the heel to merge with the plantar fascia (a thick fibrous band on the sole of the foot which supports the arch and contributes to the function of the foot. Injury of the origin of the plantar fascia on the underside of the heel bone is the most common cause of heel pain, plantar fasciitis). The Achilles tendon is a very powerful tendon and is prone to injury. Injury can occur in one of two areas; within the main body of the tendon, termed non-insertional Achilles tendinopathy or where it inserts onto the heel bone: insertional Achilles tendinopathy. This blog focuses on non-insertional Achilles tendinopathy. WHAT MIGHT BE THE PAIN I GET RELATED TO THE ACHILLES TENDON? Non-insertional Achilles tendinopathy develops when the force placed upon the tendon is greater than the tendons strength (tensile). This force is often repetitive, however, an isolated incident can occur to cause injury and often produce rupture of the tendon. What may surprise people is that Achilles tendinopathy is not an inflammatory condition but a degenerative condition (The term tendinopathy: degenerative / tendinitis inflammatory. When the tendon becomes injured the damaged collagen begins to breakdown and releases chemicals which sensitise the nerves to produce the pain. Non-insertional Achilles tendinopathy is experienced as pain and swelling approximately 2 to 6 centimetres above the heel bone. The pain can be associated with swelling, morning stiffness or stiffness that can return after periods of rest, stiffness associated with activity, reduction in motion and pain on motion. A common factor of the condition is thickening of the tendon itself. As well as the tendon being affected the sheath around the tendon can become inflamed and if this is the case a creaking sensation and sound may be heard activity, pain associated with the tendon sheath is inflammatory in nature. WHY MIGHT I HAVE ACHILLES TENDINOPATHY AND WHAT CAUSES IT? There are many factors which can lead to non-insertional Achilles tendinopathy and these are often divided into extrinsic (things outside of the body) and intrinsic(associated with the body). Some of these factors are modifiable and can be addressed to reduce the risk of developing Achilles tendinopathy and assist in its management. WHAT SCANS ARE USEFUL FOR ACHILLES TENDINOPATHY? To further assess the pathology investigations such as ultrasound and MRI are often requested. Investigations also allow other pathologies such as tears to be ruled out. The management of a tear is very different from a tendinopathy. Blood vessel infiltration: accompanying the blood vessel can be nerves which can produce the pain associated with the condition. WHAT TREATMENT IS THERE FOR ACHILLES TENDINOPATHY? Orthoses: An Insole or Orthosis may be extremely beneficial in helping to reduce the pathological motions involved in placing the Achilles tendon under great load during various stages in the gait cycle and aims to correct the biomechanics involved in the condition, which is the root of the issue. Loading of the tendon: Isometric loading (no change in the length of the muscle): stretching & Isotonic loading (change in length but tension remains the same) to include eccentric stretching. This is where the heel is dropped beneath the level of a step, which puts tension on the muscle and tendon and helps to stimulate the repair process. Shockwave therapy: This is a machine that passes shockwaves to the affected area to stimulate repair and reduce pain. High Volume Injection Therapy: This involves using ultrasound to guide a needle between the tendon and tendon sheath followed by the administration of a large volume of saline. This separates the tendon sheath (paratenon) from the tendon itself and can reduce the amount of new blood vessels into the tendon, part of the pathology. With this treatment the pain also reduces and patients are able to perform their stretching exercises more appropriately. Sclerosing therapy: This is where a sclerosing agent is injected around areas of microtears. This can reduce pain and improve function, this treatment is also performed under ultrasound guidance. Plasma Rich Platelet (PRP): PRP is used to promote healing of the tendon and is obtained by drawing blood form the patient and spinning the blood to obtain certain products which are then injected around the tendon. The evidence for PRP is not as strong as the aforementioned treatments. WHEN IS SURGERY INDICATED FOR ACHILLES TENDINOPATHY? Prior to any surgical management, conservative and medical care (outlined above) is continued for six months. There are a number of different surgical approaches and these are dependent on the amount of tendon degeneration and associated pathologies e.g. inflammation of the tendon sheath enlarged plantaris tendon. WHAT TYPE OF SURGERY IS INVOLVED FOR ACHILLES TENDINOPATHY? Removal of degenerative areas and longitudinal incisions within the tendon to stimulate repair. Surgical stripping of the paratenon to reduce the infiltration of new blood vessels and allow for tendon healing. Tendon transfer: If the degeneration of the tendon is greater than 50% a tendon transfer is often required to reinforce the Achilles. The outcome of surgical management can be variable and should only be entertained once all conservative care has failed. With all treatments a cure is not guaranteed, but patients are in less pain and more functional and thereby able to enhance their activities or daily living and quality of life. WHAT IF I WANTED TO SEE OSTEOGAIT PODIATRY ABOUT MY ACHILLES TENDINOPATHY? Accurate diagnosis of Achilles tendinopathy via biomechanical and video gait analysis. Specialist guided injections using corticosteroid to reduce joint inflammation and pain. If you require advice on any of these topics or a pair of custom made insoles or orthotics for a painful arthritic feet, a flatfoot or high arched foot, click (more information). Mr Jonathan Larholt is a Consultant Podiatric Surgeon (HCPC registered CH13765) specialising in both the non-surgical and surgical management of foot and ankle problems. He believes in involving the patient in each step of the consultation and decision making process so that treatment is not only effective in managing your complaint but it is tailored to your needs i.e. physical activity, work and social circumstances. His private practice is based in Central, North and South London and he forms part of a team made up of Consultant Musculoskeletal Radiologists, Physiotherapists with a special interest in foot and ankle rehabilitation, Podiatric Biomechanists (gait analysis and insoles) as well as Podiatrists. 12 million people in the United Kingdom have arthritis, with the majority of patients suffering with osteoarthritis this figure is estimated to be around 80% of arthritis sufferers. The remainder of patients suffer with one of the many inflammatory arthropathies, the main player being Rheumatoid Arthritis. THEY ARE OFTEN CONFUSED AS PATIENTS SUFFER WITH SIMILAR SYMPTOMS OF JOINT PAIN AND STIFFNESS, HOWEVER, AN ACCURATE DIAGNOSIS IS CRUCIAL FOR TREATMENT. Osteoarthritis is a ‘wear and tear’ degenerative joint disease caused by mechanical overload with time. Joint cartilage wears away as this progresses, typically beginning later in life, with a slow gradual onset of symptoms. The result is joint damage causing pain, swelling, inflammation and bone on bone contact, instead of a nice smooth gliding joint surface. Divergently, rheumatoid arthritis is an autoimmune disease. Our body’s immune system attacks its own joints, regardless of any wear and tear over time. This results in swelling, stiff and tender joints, and patients may feel tired and unwell. It may also affect the integrity and composition of the body’s soft tissues such as ligaments, muscles and tendons which can become symptomatic. In the past, these changes lead to severe joint deformity and malposition of the foot and ankle as well as joints in the hands, thankfully with the advent of modern anti-rheumatic and disease modifying drugs, we are seeing less severe cases of rheumatoid arthritis related deformity. Patients with both osteoarthritis and rheumatoid arthritis tend to both experience stiff joints in the morning, but these symptoms are likely to last longer than an hour with rheumatoid arthritis. Symptoms of rheumatoid arthritis are more unpredictable, and can suddenly flare up or disappear. Osteoarthritis manifests on one side of the body first while rheumatoid arthritis often affects symmetrical joints. Osteoarthritis also tends to affect the body’s weight-bearing or heavily utilised large joints such as shoulders, spines, hips, knees and ankles but may also affect smaller joint of the hand and foot. Most commonly, the big toe joint, a painful condition known as Hallux Limitus or Hallux Rigidus. Osteoarthritis is often with oral or topical anti-inflammatory (NSAID) ointments such as Ibuprofen, this can be supplemented with regular pain killers such as Paracetamol, as well as herbal or natural medicines such as Glucosamine and Chondritin. By contrast, patients with rheumatoid arthritis might be advised to take disease modifying or biologic drugs to ‘dampen down’ the body’s immune attack on it’s own joints and soft tissues. IF YOU HAVE A HIGH-ARCHED OR FLAT FOOT, YOUR PODIATRIST MAY ADVISE AN INSOLE OR CUSTOM ORTHOTIC TO REDUCE STRESS ON THE AREAS OF PAIN. Your Podiatrist may inject steroid into the region to reduce the inflammatory process caused by the problem, which often relieves the pain. Infrared multi-shot video gait analysis can be undertaken to establish what motion during walking or running is over stressing the affected structures and from this an insole or custom made orthotic may be designed and prescribed. Your podiatrist will advise you about weight loss, activity modification and appropriate footwear. If you have an ankle problem or tension within the Achilles tendon a physiotherapist can advise on exercises for this. Stretching and strengthening soft tissues around affected joints, such as the Achilles tendon and plantar fascia can be a very effective general treatment for many patients and your Podiatrist can make the appropriate in-house referral. 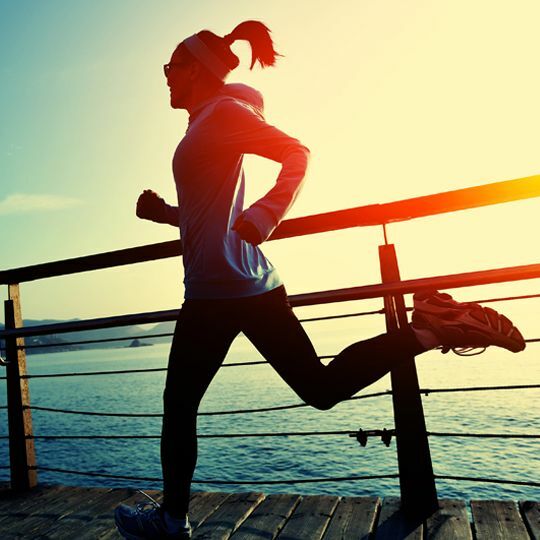 At OsteoGait Podiatry we advise patients to remain as active as possible. “We find activity and an exercise regime beneficial for osteoarthritis sufferers” says Mr Ravi Modha, who recommends that patients always seek advice from their GP or Physiotherapist. NHS officials advise we should do 180 minutes of moderate exercise weekly, with over-65s performing general strength and resistance training several times a week, working all major muscle groups. However, strength training does not necessarily mean lifting weights in a gym. It could be carrying your shopping instead of taking the bus, gardening, dancing, walking up a tall flight of stairs or a local yoga or pilates class. An excellent program can be experienced at Sprint Physiotherapy in Kensington, who have been serving the local community for many years with both 1:1 and group Clinical Pilates. WHAT IF I WANTED TO SEE OSTEOGAIT PODIATRY ABOUT MY ARTHRITIC FEET? 1) Accurate diagnosis of osteoarthritis via biomechanical and video gait analysis. 4) Footwear advice and customisation to minimise the mechanical tension on joints affected by osteoarthritis. 5) Specialist guided injections using corticosteroid to reduce joint inflammation and pain. 6) Referral for surgical consult should the above fail. Consider the fabric used as part of your running gear. Cotton and heavy materials can be difficult to run a race in and more modern materials offer a lightweight breathable experience such as the CoolMax variety. Practice in you gear to ensure it does not irritate your skin or cause blistering (socks). You will gain a huge amount of confidence if you like your gear and take pride in your marathon appearance. Modern day athletic shoes are developed to ensure peak performance and give you plenty of comfort when running, however every individual runner will have unique biomechanics and anatomical function. Therefore if you are suffering from discomfort when training, a Video Gait Analysis and pair of custom Orthoses/Insoles may go a long way to helping you prepare for your marathon and stay pain-free. In the lead up to the final race you must train on the same topographic landscape as the marathon. If you live in a flat area and are preparing for a hilly marathon, run with incline on a treadmill. 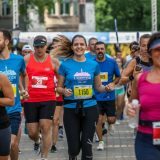 If you are running a reasonably flat marathon then you are likely to lack variation in terrain during the race and will use the same muscles in the same fashion for the duration of the race, so it is important to condition to this. 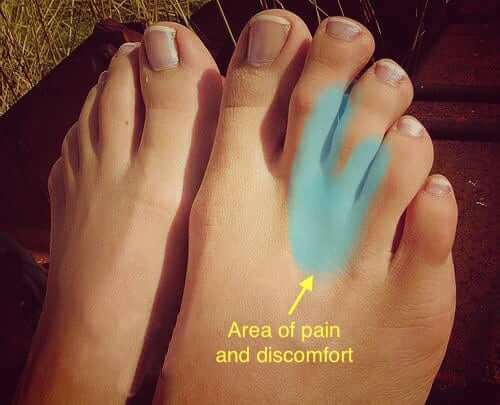 If you have any niggling injuries such as arch pain, heel pain, ball of the foot pain, ankle pain etc or suffer with ingrowing toenails, corns etc then training for a big race may make your foot pain worse. In light of this, a HCPC registered Podiatrist at OsteoGait Podiatry can give you a complete analysis of your lower limb mechanics and treat/address any concerns prior to undertaking your race preparations. It is imperative to stay hydrated during the race. You may want to switch from water to an isotonic sports drink which helps rebalance electrolytes and replenishes depleted glycogen stores during the course of the race. Minimise life stress in the lead up to the event. Ensure work projects are under wraps, politely decline invitations to late nights out, and save long days where you will be on your feet for after the race. The few days before the marathon get plenty of rest, sleep and relaxation before you pump up for the event. Several hours before racing consume a carbohydrate rich breakfast to ensure you have plenty of reserves for the marathon. Typical foods have a relative gycaemic index and you will need both long and short acting foods. Long acting foods at breakfast and short acting during the race is ideal. Examples include pasta, rice, potato, bagels, bananas, sports drinks, high calorie protein shakes etc. The number one golden rule. Most running stores will provide advice on appropriate footwear but this will be from someone who fits the shoes in-store rather than a health professional who has extensive experience in managing foot & ankle injury/pain. A Video Gait Analysis session with our HCPC registered Podiatrists can advise further on this if you are unsure which style of running shoe is best for you. Never wear a new pair of shoes to run a marathon the very first time. New shoes should have been previously trialed in training and this is key to ensure you can run the race to the best of your ability and do not get yourself injured. New shoes require an adjustment period and should be tailored to your foot profile. The human foot is comprised of 26 bones, 33 joints, 112 ligaments, and a plethora of tendons, nerves, and blood vessels working in unity to facilitate motion. Everything depends on the structure and function of your feet, from the ground up. When considering engaging in weight bearing activity such as running, The London Podiatrist advises you to follow these simple steps to avoid foot pain and remain healthy. Anyone with discomfort when running should see a Podiatrist. From the beginner jogger to the seasoned marathon runner, no one should have to put up with foot pain when running. With an experienced podiatrist your feet and lower limbs will be examined and the source of the pain or potential problems be identified. At OsteoGait Podiatry our team uses the latest software to conduct a comprehensive assessment of your gait and running pattern via infra red video gait analysis. From this, a management plan is tailored to your individual goals and needs which often includes a prescription pair of custom built orthoses (often called orthotics or insoles), recommendation of the appropriate style of running shoes, gait education and running profiling, musculoskeletal conditioning and rehabilitation. Prior to commencing your run it is advised you warm up and cool down, there is some research within the medical field which evidences that if muscles are properly warmed up, the strain on muscles, tendons, and joints is reduced which may reduce your chance of getting foot pain as stress and strain together lead to injury. Stretches should be systematic and held in a fixed position without any bouncing or excess pulling. With your feet away from a wall at approximately two to three feet, feet flat on the ground, knees locked (extended), lean forwards with your back straight as your pelvis moves forwards. Hold for 20 seconds whilst the calf muscles stretch. Try not to bounce. Repeat three times on each limb. Place your heel, with knee locked and leg straightened, on a chair or table. Keep the other leg straight with knee locked. Move your head forwards to the knee until you feel the muscles are being well stretched. Hold for 20 seconds whilst the hamstrings stretch. Try not to bounce. Repeat three times on each limb. Kneeling on all fours, with your knees under hips and hands under shoulders, slowly take your bottom backwards, maintaining the natural curve in the spine. Hold for 20 seconds and return to the starting position. Repeat five times. The correct running shoe is determined by weight, foot structure, and running regimen. More can be read on appropriate running shoes here. A smart way to begin a running programme is with a three day conditioning programme for 12 weeks. Beginning with two sets of five minute jogs with a minute of fast walking in between for the first week. For the second week increase the five minutes to seven. For the third week to ten. 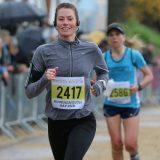 With our 12 week condition programme, even the most novice runners are able to run two sets of at least twenty minutes each, with a five minute walk before, between, and after by week 12. Aches and pain associated with running and activity are a common indication that certain structures of your body have become fatigued and pushed to their limits. Rest and adaptation of your training regimen would be beneficial in order to give these structures time to heal and recover from an exercise programme. This is easily incorporated into your conditioning plan by taking your rest days between days of running and the key element in listening to your body. If you are feeling sore or any discomfort arises from your body, try to reduce your activity temporarily, as you feel better this can easily be increased. If your pain or discomfort does not go away after a few days contact your Podiatrist for further advice on how to manage your pain and training programme. At OsteoGait Podiatry we provide fully customised specialist orthotics for the average runner to elite Premier League footballers (more information). Running shoes are the most important piece of equipment that a runner has. They help prevent injury and they may help the running gait be more efficient. The running shoe market is huge and most of the running shoe companies and podiatrists make significant investment into the technology and science of running shoes. If you require advice on any of these topics or a pair of custom made insoles or orthotics for a painful flatfoot or high arched foot, click (more information). A rigid heel counter is crucial (the part of the shoe just above the softer heel foundation) because it’s vital in upholding the foot’s position inside the shoe. This is particularly important If you experience foot, ankle or knee pain. Avoid trainers that feel nice with a soft heel counter. The heel counter supports and reduces impact on joints when your foot strikes the ground, and if it is too soft, it can overstretch your calf muscles and strain your Achilles tendon. TIP: Some evidence suggests that undoing your laces before putting your foot into the trainer (and then redoing them) helps to preserve the life of your heel counter. Cushioning densities differ with the type of running shoe. Cushioned trainers designed for under-pronators to neutral-arched runners characteristically have a uniform midsole cushioning density, while motion control shoes meant for over-pronators (flat-footed people) usually have two midsole density combinations for added support. TIP: Hold a potential purchase up lengthwise, with your left palm on the toe box and your right hand grasping the heel. Squeeze your hands together and note where the shoe bends. Trainers bending at the arch cannot keep your foot stable during running and might stress your plantar fascia as well as other key structures. If you’re a dedicated athlete who won’t skip running, even in the rain, trainers with waterproof quarter panels or wing units can help prevent you from getting soaked. We advise to purchase shoes that additionally offer drainage as well, as water usually penetrates your ruuning trainers via the shoe rim (below your ankle). A good pair of running trainers flex where the ball of your foot sits. If the ball of your foot rests behind this point, your arch will bend instead. This is unadvisable as it may cause larger amounts of strain on your foot. However, most good running shoes these days come with multiple flex points in the forefoot that provide a greater range of motion and comfort, it is vital you get the correct size to prevent this from occurring. Your podiatrist at OsteoGait Podiatry can advise you if you are unsure (more information). Feet can expand up to half a size whilst running as the soles are often the warmest part of our bodies during running as we try to give off heat. Allow for around 5mm-10mm of room from the apex of the longest toe to the tip of the shoe when choosing the correct size. This should be done whilst standing up as your feet are at their maximum length only when they bear the full mass of your body. TIP: An excessively wide fitting trainer or large shoe can cause unwarranted movement inside the shoe which may lead to blisters. An excessively narrow fit may increase friction and shear as it rests against the skin and causes painful corns or blistering, it may even temporarily restrict blood flow which can be painful. You are looking for a snug fit with enough width and depth in the toe box. Running insoles, also known as orthotics or orthoses, can be very effective at improving your foot alignment within your chosen shoes. This then adjusts the leg position and can help reduce the chance of injury when running by redistributing stress on affected structures and improving the efficacy of your walking or running pattern. At OsteoGait Podiatry we provide fully customised specialist orthotics for the average runner to elite Premier League footballers (more information). If you require advice on any of these topics or a pair of custom made insoles or orthotics for a painful flatfoot or high arched foot, we are able to provide these through full running and motion analysis via our gait lab, please contact us for more details or click (more information). Osteoarthritis: This is generally described as ‘wear and tear on the joint’. It is associated with biomechanical imbalances, where a joint is overloaded in an unusual way. For example, a leg-length difference or a big toe joint with reduced motion may lead to compensatory mechanisms which eventually lead to foot pain and injury. Of course ankle, knee and hip pain is also common. Is there a cure for arthritis in the feet? With osteoarthritis, treatment incorporates finding the biomechanical imbalance which has caused excessive wear on a joint via biomechanical assessment with video gait analysis that we offer at OsteoGait Podiatry. This allows for the recognition of the factors which may be contributing to arthritis. When the cause can be established an effective treatment regime for the painful foot can be constructed. How common is osteoarthritis in the feet? Research demonstrates that around 80% of the older population has a degree of arthritis in their feet, with around 20% of people in general having osteoarthritis. Are bunions the same as osteoarthritis? Most patients who have bunions are prone to developing arthritic changes within their big toe joint as the joint is not functioning efficiently, leading to more wear and tear of the cartilage. Osteoarthritis and bunions are not the same but regularly co-exist. What are the treatments for osteoarthritis of the foot? Orthotic or Insoles: research demonstrates that orthotics and insoles can help with arthritis in the feet, ankle, knee, hip and even lower back. This is specifically pertinent to pain on top of the foot or midfoot and the big toe joint. At OsteoGait Podiatry there is a high satisfaction rate amongst patients who receive orthotics or insoles for arthritic foot pain. Drug Management: a range of drugs can be prescribed to manage arthritis varying from NSAIDs such as Ibuprofen (Non-Steroidal Anti-Inflammatory) to Prednisolone (Steroid) and others which address the disease process such as Methotrexate (DMARD) or suppress the bodies immune system (Biologics or Anti-TNF). It is of course desirable, if possible, to avoid taking drugs as all drugs may have potential side effects. The appropriate course of management can be discussed with your podiatrist and the appropriate recommendation made for sustained management via a referral to rheumatology or advice for your GP be made. injection Therapy: A wide range of injections are utilised in the management of arthritis. Your Podiatrist may use a Corticosteroid injection to reduce painful joint inflammation. This is often caused by arthritis and the injection can be helpful as part of a programme incorporating insoles or orthotics to prevent the inflammation from returning. At OsteoGait Podiatry we utilise a fast acting Local Anaesthetic with our steroid injections into the foot, meaning the injection is often of very minimal discomfort, more information. Surgery: Foot surgery can be successful in the treatment of arthritis, where all other treatment has failed to cure the foot pain. With minimal deformity the arthritic portion (bump) of the joint is shaved off. With a more advanced deformity, a more invasive procedure is used to improve range of motion and alignment at the joint and in some cases an artificial joint replacement is used. Your podiatrist can discuss these options with you in great detail following a biomechanical assessment.